21 days guys, 21 days until Christmas!! Who is excited that I am doing my November favourites? I am! November flew by and now its the official countdown to Christmas. It was a crazy month so I do apologise for this post being late, But hers is my November favs! 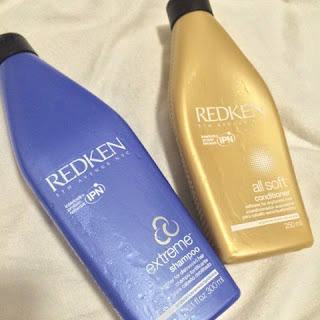 First favourites of the month has to be Redken Shampoo and Conditioner. In the summer I got highlights to lighten my hair and then recently I dyed the bottom half of my hair. I have never dyed my hair before this so my hair was in a good condition. Since dying it, it has felt weak and like straw. It was frustrating because like I said my hair has always been soft. My hairdresser recommended these products. I was a bit weary since I have quite oily hair but it has worked wonders. My hair has became soft again and the products smell amazing. It has been a major lifesaver and I would highly recommend. Next up is PINK 'Hot Crush' body lotion and body mist. I have been loving the warmer smell of these. I used 'SunKissed a lot throughout the summer but this is perfect for this time of month. The scent is Jasmine mixed with warm caramel. I did write a review/haul about all the PINK products I bought whilst in America here. The body lotion is fab on my skin and the body mist is great after the shower. I have also been loving my 'Let It Go' Primark pjs, a few months I bought a Princess Pjamma top but it was 3/4 sleeves so it got cold whilst I was sleeping so I purchased this. They are super cosy an so cute. My favourite bath bomb has to be 'Father Christmas'. It smells like 'Snow Fairy' and it turned my bath green, it was really moisturising and made my skin really soft. I am so tempted to buy another one! 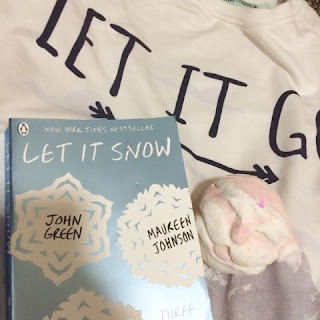 Lastly and probably my favourite has to be 'Let It Snow'. I was given this book as a gift for my christmas a few years ago. I have only really read the book in full once so this year I am determined to finish it. It has three different stories but they all come together at some point of the book. I would definitely give it a read. December will be such a exciting month, hope you are all having a great day!! !